The 12 gauge is ubiquitous with shotgun, and for good reason. It is the most common gauge by spades. And it works great for just about everything; if I could choose only one firearm it would without question be my Remington 870 Express. But dang, sometimes the 12 gauge is just...too much. For most things that a 12 gauge does, the 20 gauge will do equally well. I would take a 20 gauge for almost every task that a 12 gauge would be used for, save hiking through Kodiak country or Jurassic Park. 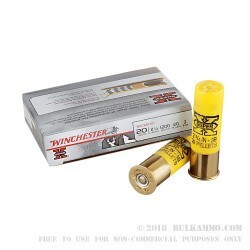 Winchester Super X #3 buckshot in 2 ¾” chambering is a really good chambering for home defense and backpacking through lowland areas NOT populated with grizzlies. 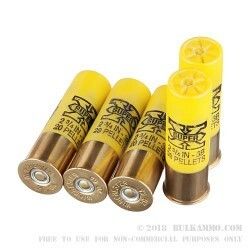 Let’s be frank: 12 gauge buckshot, particularly the 3” variety, it absolutely punishing to shoot and is excessive for bipeds for sure. If it will dispatch a 1,100lb moose with ease, it is overkill for a 200lb human. 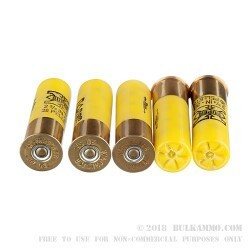 With the advent of the 14” shotguns (Shockwave, TAC-14), which seem to be the perfect backpacking pack gun, a 20 gauge with buckshot seems like a great decision to make. 12 gauge magnum loads in that small of a package is largely unmanageable. 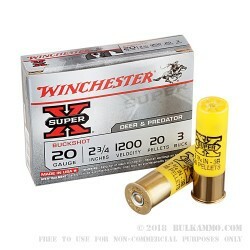 A 20 gauge loaded with 2 ¾” Super X #3 seems just about right for anything between the Appalachians and the Rockies, and buying them in a bulk case of 250 rounds is the best deal you can get.